We are proud to announce the launch of eDirectory v10.4. 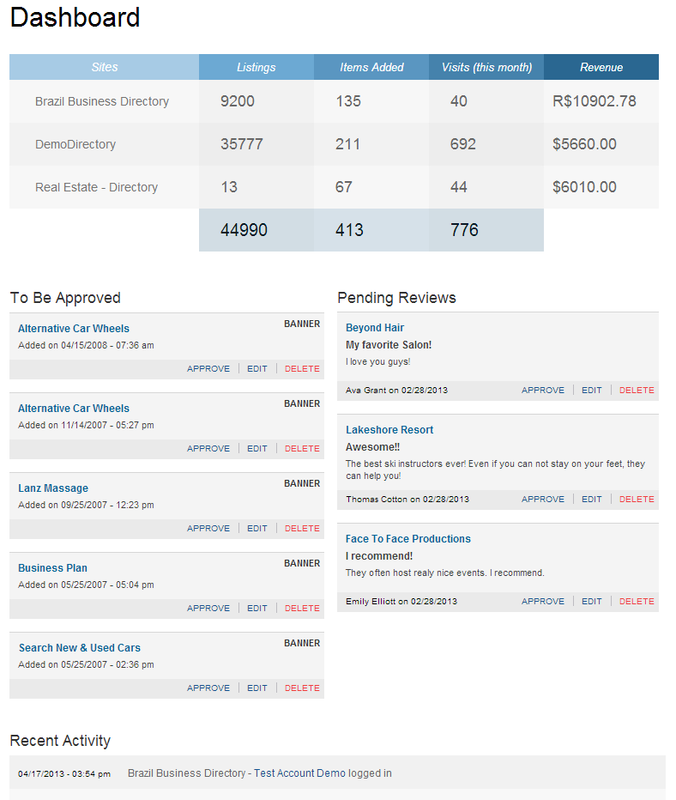 In addition to a number of SEO Improvements, this version features a fully redesigned Admin (Site Manager) area. We overhauled every pixel, from the navigation on down, for usability and simplicity. And much more…. 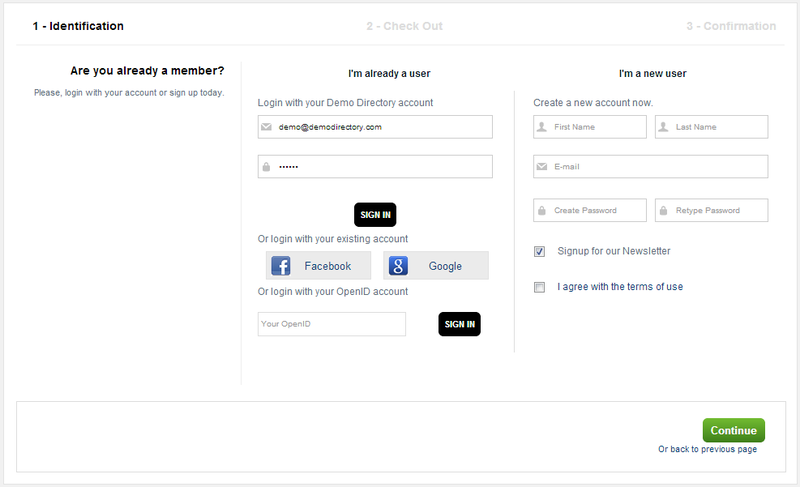 visit our demo at www.DemoDirectory.com and change the Website Role to Site Manager or download the full 10.4 changelog here to see all the updates. eDirectory version 10 has been released, and it’s our best work ever. It has an all new, beautiful flat design on the front, with all new typography. It’s a responsive design, that resizes automatically for different screen sizes, and it is simply stunning on mobile devices. However the best changes are under the hood, we redid the front end code from the ground up, based on the Bootstrap framework. What this means for you? Custom designs can be done faster and easier. Version 10 also comes with improved features that will change the user’s experience in your site. Search Filters: The results pages now have a filter feature, allowing visitors to quickly narrow down to what they are looking for. Events Calendar: A new events widget shows upcoming events for the week. Listing Detail: Listing owners can display video description, Facebook fan page and the features for their businesses. Deal Map View: Deals are easier to find with the new map view on deals detail page. A bunch of smaller tweaks are included as well, including ability to change the top background image, Facebook like button on Home Page, new fields for Contact Us and much more. Dining Guide: Label “Make a Reservation” changed for “Contact this listing” on listing detail view. For the last month we have been cranking out some great new features for the Dining Guide edition. These features will also be coming to the main eDirectory theme in the next release a few weeks from now. Refine your search results by Category, Location, Price, Rating or if the result has an available deal. We have added an entirely new map view which allows you to show all results on a handy map – super simple. In addition, there’s a huge list of fixes, enhancements such as an updated photo gallery, new search bar, new header, and more. Next Release – Talk about being Responsive…. A fully responsive design, looks just as awesome on a phone as it does on a desktop. Fully integrated with our iOS and Android applications. Built on the Brilliant Bootstrap framework. 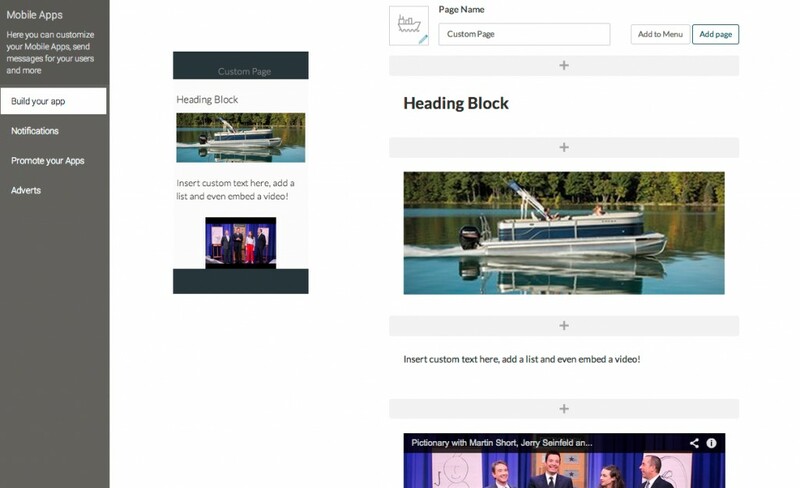 Grid layout with ‘Blocks’ making customisation far easier across the board. Did we mention it’s stunning? It’s gorgeous. This (pretty awesome) new front-end will be available in a few weeks. Stay tuned, we just wanted to give you a sneek peek. For all our customers a little more involved with the platforms, we’ve added complete change logs to the main eDirectory site. Just so you can keep up with what we’ve been working on. We’ll be adding to it as time goes on. With a beautiful, fully responsive design, and all new mobile apps, we’re excited to launch the new eDirectory Dining Guide edition. Fields and Layout highly customized to function as a dining guide. 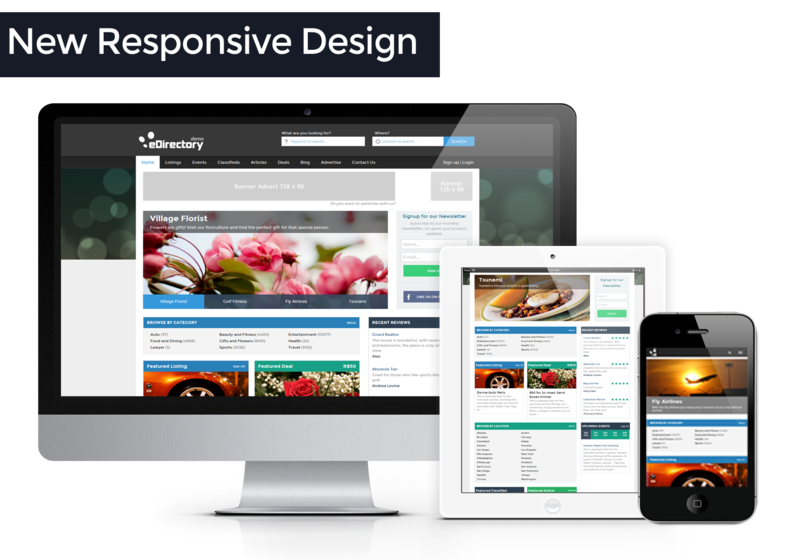 Responsive design – works equally well on the desktop, the tablet or mobile. Brand new matching mobile apps, which are also gorgeous. New, “Best Of” page, showing the highest rated listings from across the site. New “By Location” page, show all listings via a new customised search. New “By Cuisine” page, browse by categories. Something as stunning (and quite frankly different) as the Dining Guide required us to re-approach how our mobile applications were working, end result – brand new apps just for the dining guide. This app is more heavily based upon category searches (Food Type), and a cleaner, clearer way of displaying information to your users. 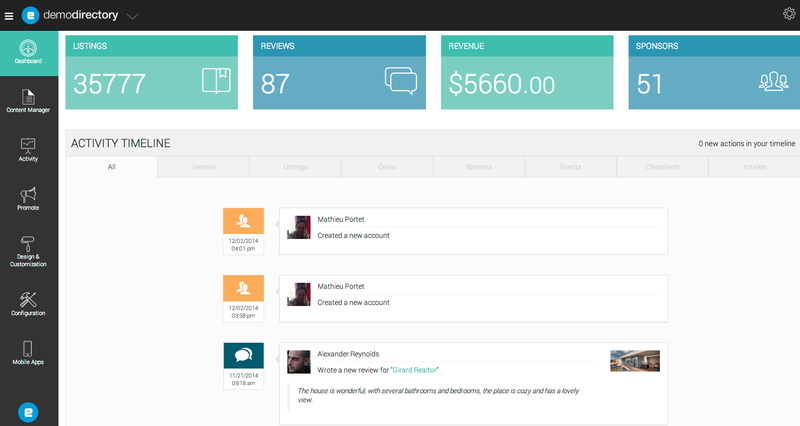 We also took the opportunity to spice up the user interface a bit. We think it’s really great, let us know what you think. Available after next week on both Android and iOS. We’ll give you some time to sink your teeth into the new release, but before we leave, he’s a sneaky peek at what you can expect a few weeks from now – That’s right, a brand new members area, we’re already working on one of our most requested features it’s going to be amazing. eDirectory has recently launched version 7.3, and with it come a variety of new interface features based on the feedback by our customers. The most notable aspect of eDirectory’s release is the iPhone application, and the ability for site owners to now publish their site to over 23 million iPhone users. Another source of search traffic and advertising revenue, coupled with Apple recently capturing their 1 billionth app download makes this feature most appealing to customers, and prospective customers alike. In an effort to expand site owner’s demographic reach, all sites can now be translated into both Italian and German.While users only saw five levels, or subcategories deep on listings in the system before, they now have this same level of depth in both the events and classifieds section, giving users an arena for more organized and targeted echelon of content. Other notable interface changes include a preview button for each listing template, as well as a new HTML editor with more robust features. On the advertising end of the sitemanager system, owners cna set up global banners, throughout the entire site and aren’t limited to posting them section by section. Additionally, Ad Sense settings now give users the ability to choose whether users ads are only text, only video, or a random selection of both. Finally, more minor and subtle features include verification pop ups when edits are made on the back end of the system to prevent erroneous corrections , as well as the ability to modify the layout or appearance of invoices sent through the system. eDirectory will be attending Search Marketing Expo (SMX) East on October 5th & 6th. In addition to exhibiting alongside of companies like Bing, at&t, iContact and others, eDirectory will be giving a theater presentation on Tuesday, October 6th. The session, entitled “Implementing an Online Directory: Strategies for Increasing Search Traffic,” will be presented by eDirectory’s CEO, James Chubb. If you’re attending the show, be sure to visit us at booth #328 to learn more about our products and services. New Browse by Location layout: clean and organized. The user can choose to show or hide the map on the results pages. The site manager can enable/disable the google maps feature. A color selector was added in the listing templates section, so now the site manager can choose the colors easily. 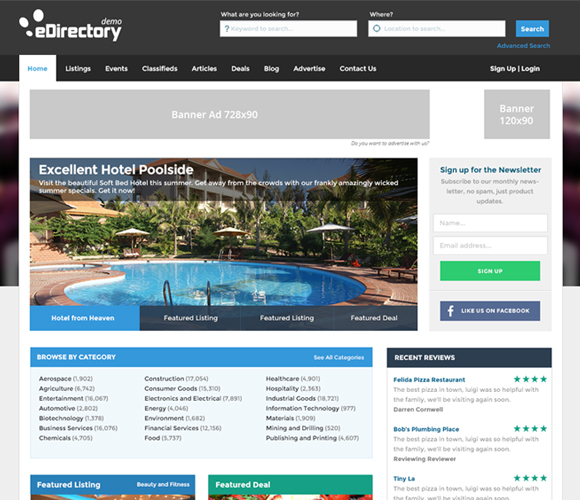 The site manager can choose the listing levels that will have promotions. The site manager can refresh the Statistic Reports at any time. eDirectory now works with Amazon Simple Pay payment gateway. This new gateway works with Amazon Simple Pay Standard and Amazon Simple Pay Subscriptions (the recurring can be monthly or yearly). The charset was changed from ISO 8859-1 to UTF-8.